Yes I know it is coming on Autumn time but it isn't officially yet so I am sharing one more summer time card. I colored up Tutti Designs Birdie Trio die with my Spectrum Noir marker. Do you see how the wings are a different color, those wings come out so you could leave that area blank if you would like but I decided to color them a different color than the rest of the bird so it would stand out. If you don't like to color, you could always take some scrap paper and cut those out of a scrap piece of cardstock if you wanted it to stand out or just cut it all out of the same colored cardstock, I love how you can do different techniques with your diecuts and each card will be so different. Next I added my die cut to my Memory Box Stitched Circle Layers die. For the background I went with some designer paper from DCWV, Old World stack and on top of that layered Amy Designs Wire Frame Die. I could have added my Bird die to the frame directly but thought popping it up on a separate background looked better. 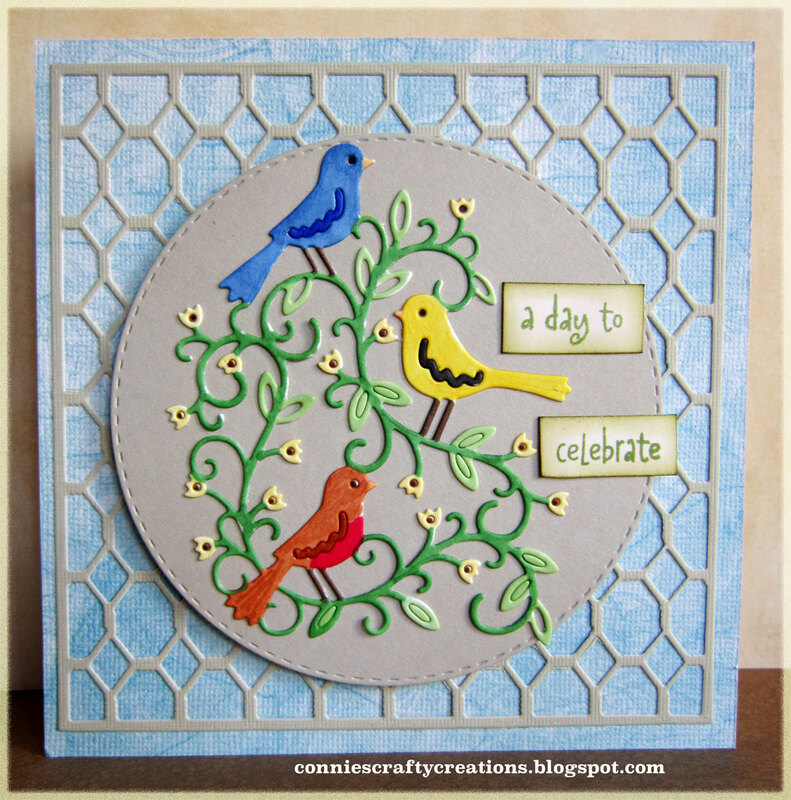 The sentiment comes from Hero Arts -- Birthday messages stamp set. 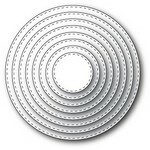 Here are the dies I used for today's card, all the links are above in the description. 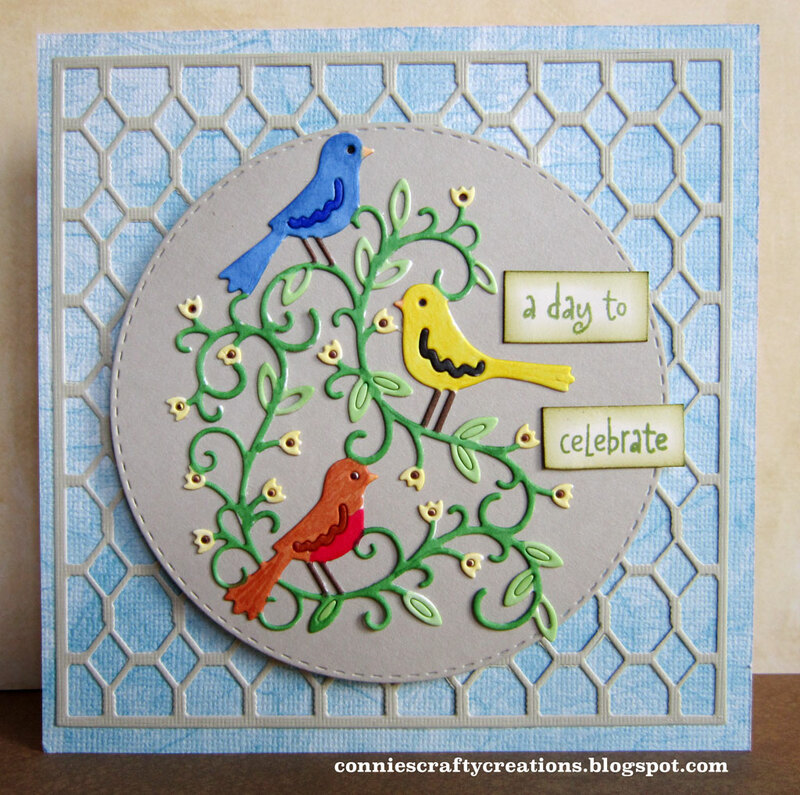 Love this pretty bird card Connie. The Tutti die could be used for lots of different occasion cards, stands out nicely coloured and mounted on the circle. The wire frame is going on my wish list! This background die is perfect with your birds and I love that you made them 3 different types of birds! GREAT job and awesome inspiration! This is so cute and those little birds are adorable! Such a happy card with those birds all getting along like they are. Wonderful coloring and arrangement! So darling, Connie! This tutti die is in my stash as well, and I love that you have colored it so brightly! Thank you for the inspiration! It's beautiful!